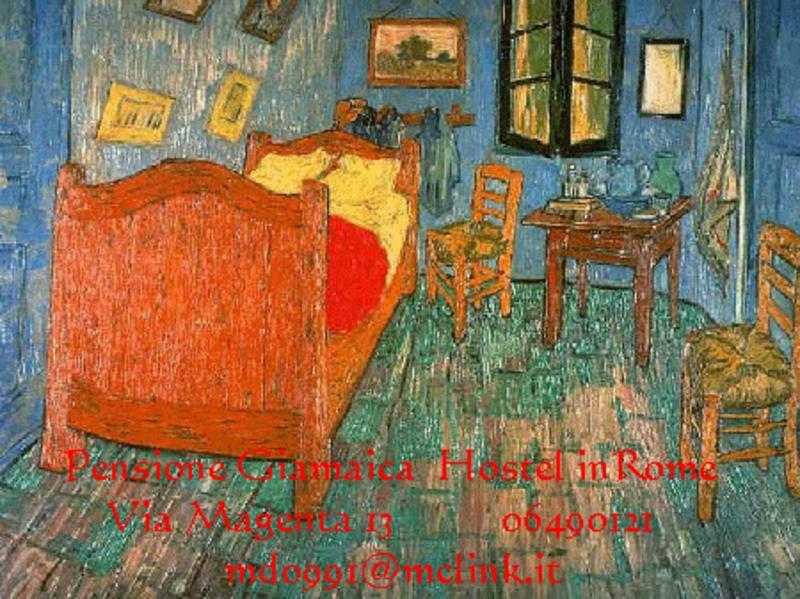 The problem of a bargain accommodation in a nice place and in the center of the city? We can help you to solve it ! You will find our hostel in the north area of Termini Station, accessible from the main entrance near to the Train Platform # 1, after a real short walk, not far from the most important monuments, museums and historic sites. The rooms ( singles, doubles, triples ), with different shapes and sizes, are spacious, pleasant, bright and tastefully decorated. We provide you with free city maps, leaflets, and, when issued, tourist magazines from Rome Tourist Promotion Office and special (cultural, musical and sporting) events programs directly from the organisation staff. we require a minimum stay of two consecutive days. Your arrival must be within 3 hours of the time which you indicated when you booked otherwise we will not hold your room reservation. You must inform us of a cancellation by email no less than 3 days ( 72 hours ) before the date of your arrival. Failing to do so will charge the amount of the first night on your credit card. We are unable to send mail or letters for booking confirmations and visa applications. To reach our place head to the right as you leave the trains platforms, onto Via Marsala, which runs alongside the Termini Railways Station: the next street is Via Magenta and our light sign is easy to see at No 13.